Law enforcement jobs offer lots of opportunities to promote and advance your career and to make a difference in not only the lives of people in your community but in your department. Such a unique opportunity to lead calls for unique traits from leaders. An effective leader should have an intelligent vision for the unit. The leader understands where the group is and where it can be. 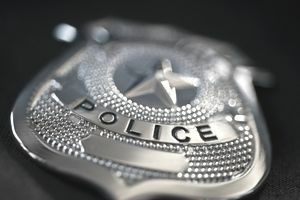 A positive vision for the future of law enforcement will inform the direction of your workgroup and place it on a path toward sustained success for the entire organization. A successful commander understands the challenges your agency will face in both the near and distant futures. He must be able to realize the full potential that the command offers with regard to policing concepts, resource allocation, and information and data sharing, all in furtherance of enhancing the capabilities and effectiveness of the work unit and ensuring a safer environment for residents and visitors. The vision should include increased collaboration among other sections and commands within your department, as well as with internal and external stakeholders. It should also include more information sharing and training for members at every level to promote buy-in and maximize the chances of success in implementing effective strategies. The law enforcement leader should not only be inspired but inspiring. It is not enough to merely have a vision, but they must be able to help others see their vision and desire to see it to fruition themselves. By inspiring others to take ownership of the leader’s vision, the successful commander helps provide the means and the motivation for their members to excel, individually and as a cohesive unit. The inspirational leader must have the ability to communicate effectively, expressing empathy as well as clear expectations. Their members should know what the goals are for their unit and what parameters they must operate within to achieve those goals. Through regular communication with their members, they can better understand their concerns and help them better appreciate the vital role they play within the organization. They should serve as a motivator, encouraging the members of the unit to work toward excellence in the interest of public safety continually. Their intelligence and strength of character should serve as inspiration and example for their members to follow. To be truly effective, the police commander of must be accountable both to his superiors and the members he leads. An inspirational vision is nothing if it does not produce outcomes. The accountable leader should be expected to continually work toward the goal of maximizing outcomes with more efficient inputs. He seeks to understand what is expected of him entirely and works not only to meet but exceed those expectations. He takes complete responsibility for his unit’s failures but makes sure to share his unit’s successes, and his character is such that his motives aren’t questioned as he continually strives to do the right things for the right reasons. Accountability on the part of the leader, in turn, ensures accountability for his work group and requires that the leader holds his members accountable for both their successes and shortcomings. Motivating through consequences—ideally positive but, whenever necessary, negative—fosters an environment of accountability for everyone and ensures sustained productivity and imparts meaning and purpose to work performed. When a leader has a visible passion for their job, their enthusiasm fuels not only their own drive but that of Their workgroup. To be successful, an effective leader must have a true passion for what the unit is about. The successful commander takes on the challenges of the job with gusto, sharing passion and enthusiasm with others so that they see and understand how important their role truly is. Passion for the job provides the energy and stamina necessary to lead others into the future effectively and promotes a desire for sustained excellence throughout the unit and, indeed, the department. The most successful leaders realize that their accomplishments are not their own. If he is focused on seeking credit or praise for himself, he will lose the support and respect of the members whom he was entrusted to lead. Successful implementation of process improvements and best practices requires a team effort, and the best head coaches know it is their team, not themselves, who gets the win. The humble leader is a loyal leader, focused on making sure both his subordinates and superiors are credited with his successes so that the entire work unit is widely recognized as an effective and influential component of the agency. Within those words, you find the vision to see the endless possibilities your unit can achieve, the inspiration to want to reach them, the accountability for both success and failures, the passion for fueling the drive to excellence, and the humility to allow others to receive the credits and rewards for positive outcomes. Why Should Millennials Love Law Enforcement Careers?